Never settling in one medium, Adam believes the various media each tell a story in its own unique way. Some subjects are more fitted to pencil or pen and ink, while others need a different treatment. Consequently, Adam works in several media including watercolor, pen, ink, pencils, and stained glass (2D & 3D). 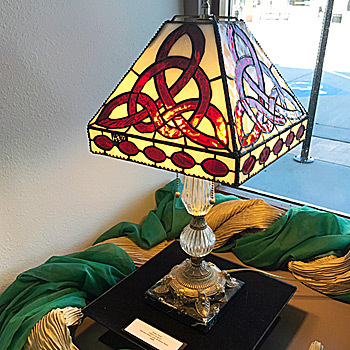 The stained glass lamps that he creates are usually placed on antique bases, as his lamps are Tiffany-esque in nature. 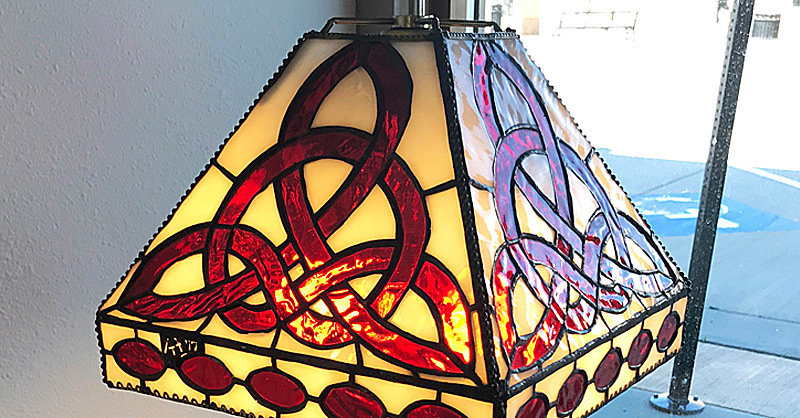 Adam’s professional background includes 5 years teaching art in a Wisconsin junior high school and 27 years teaching junior high in Gillette, Wyoming. Finally, after 32 years of teaching, Adam retired in 2000. This entry was posted	on Tuesday, May 29th, 2018 at 11:59 am	and is filed under Art Gallery, Gallery Artists, News & Blog. You can follow any responses to this entry through the RSS 2.0 feed. Both comments and pings are currently closed.